Researchers at the University of Central Lancashire (UCLan) showed that the polyethylene-filled aluminium composite material (ACM) panels used on the tower were 55 times more flammable than the least flammable panels tested. Smoke released when burning polyisocyanurate (PIR) insulation was also found to be 15 times more toxic than current fire-safe insulation products, with just 1kg of burning PIR insulation being sufficient to fill a 50m³ room with an incapacitating and ultimately lethal mix of carbon monoxide and hydrogen cyanide gas. Published in the Journal for Hazardous Materials, the research found that the combination of ACM panels and PIR insulation resulted in the highest flammability and smoke toxicity of products currently available. 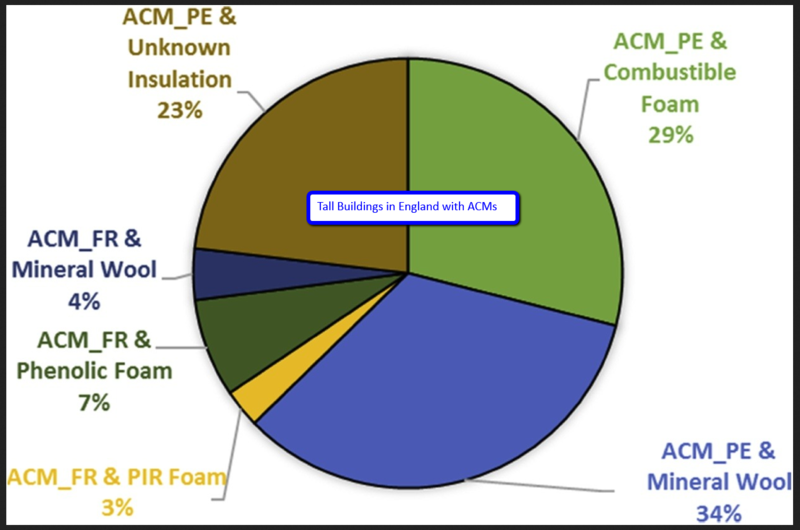 Used together, the ACM forced rapid ignition of the toxic foam. Just a few burning drips of polyethylene from the ACM paneling would be enough to ignite the foam insulation, which could provide a new explanation for the very rapid spread of flames within the tower’s façade. "Our research demonstrates the need for tighter regulations around flammable and toxic building products, especially when used on towers or buildings with vulnerable occupants, as this could put lives at serious risk"
ICM Director David Jones notes the aim of this excellent paper was to assess the fire safety of combinations of typical rainscreen façade products using micro-scale decomposition and bench-scale fire behaviour and toxic product evolution. The results are related to the large-scale government tests, following the Grenfell fire, on 8 m rainscreen façade systems.